As a researcher and ambassadress between spheres of humanity, my work involves tracking down and retrieving archaic craft knowledge and techniques, and using them to make authentic, meaningful connections with the present. Illustrative research and travel stories, as well as my ‘do-it-yourself” designs, invite people to join together in forging new social, holistic and environmentally aware paths. My intuition and sensitivity for people opens inspirational fields of genuine creativity, unlocking their true potential. As a qualified shoe designer, with many years of experience in the field (Clarks Ltd UK, Gea Waldviertler Werkstätten AT), I’ve been focusing my efforts since 2009 on the effects of an economy which generates rapidly changing trends to increase profit. 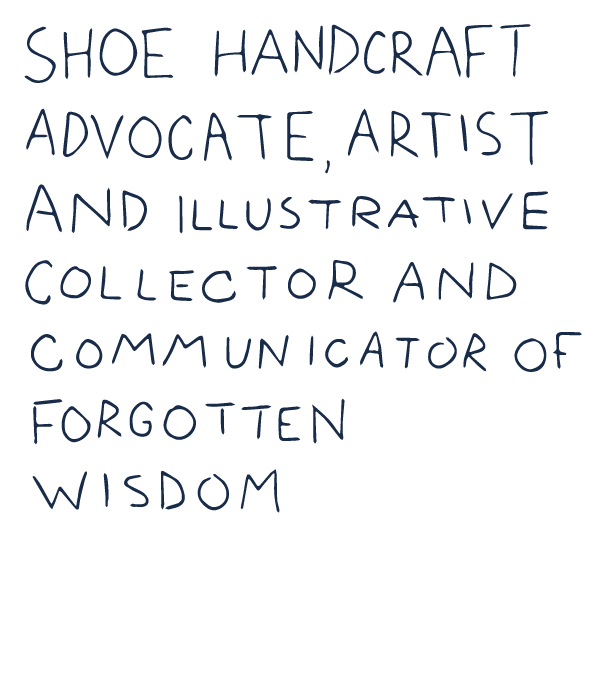 I run a socially active, sustainable shoe label, providing shoe workshops designed to raise awareness. 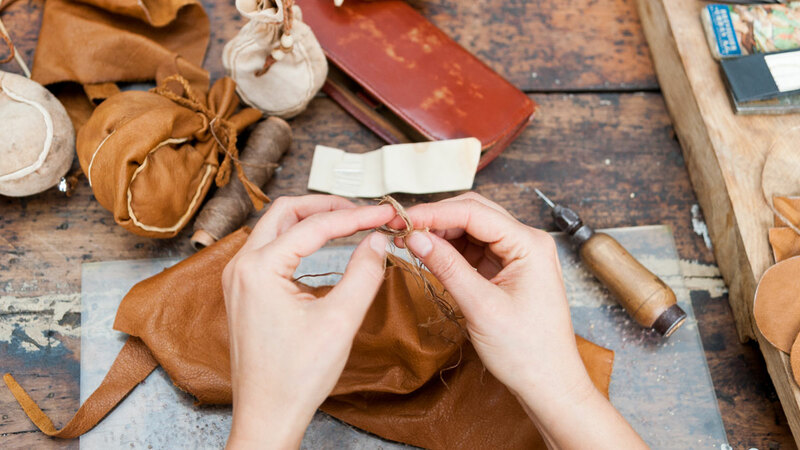 As a place for production, exchange, inspiration and networking, the leather workshop in WUK was founded in 2014. “WUK” stands for Werkstätten und Kultur (Workshops and Culture), and is the largest independent culture centre in Europe. 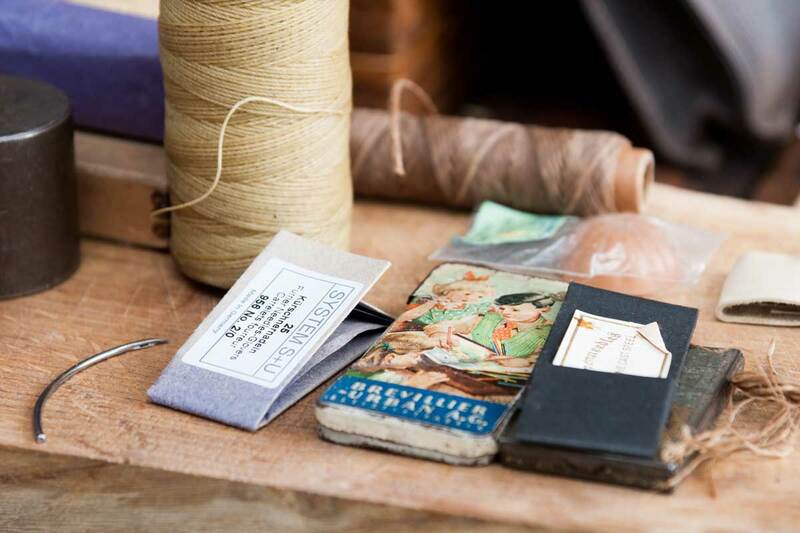 It wasn’t long before the leather studio/workshop gave rise to “Craft Folks”, formed by the mixture of handcraft workers, designers and artists working there, brought together by their enthusiasm for weaving traditional handcraft techniques into the modern world. Central to my current work is the experiencing and documenting of traditional shoemaking methods, including studying and listening to people of otherwise forgotten cultures. The way we as people transport and develop ideas and information amongst ourselves has many forms, and is in a constant state of flux. The tried and tested woven together with contemporary requirements is uplifting motivation. summarise impressions with a travel diary and write letters to people by hand. Simple, manual skills are tangible and authentic. My work is firmly based on an understanding of nature and conscious regard for all animals and plants. Building up people’s strength and an aura of well-being through skilled use of their hands is a key motivation in my work. Making the body an instrument for experiencing and connecting to the world around us. Thinking with the body! Craft practice and the act of creation is connecting head and hand, skills and fantasy. Art and Craft practice provides core energy to initiate new ways of thinking and enables the finding of creative solutions. Our human ingenuity allows us to explore the process and products of human creativity in multiple ways, and to consider their impact on society and the mind. Human ingenuity provides opportunities for everyone to appreciate and develop in themselves the human capacity to create, transform, enjoy and improve the quality of life! Unleashing our creativity leads us to more independence and encourages social awareness. Enabling people to experience themselves as part of nature, helping to act accordingly. We aim to initiate our design and creating process in the natural environment. The holistic principles of a Deep Ecology contrary to a maximising economy, are key guidelines to our design work and craft teachings. Connecting to our roots and living matter supports a more sustainable and conscious approach to product development. Biomimicry focused design utilizes nature’s imaginative resource as inspiration for technological and holistic inventions. I have collaborated with many people – want to work together?